We'll be looking for you Katie! I too miss Lisa Morgan's blog "Champaign Taste", she did start up a Facebook page, but it's not as good a read as her recipes and reviews were! D.G. Sullivan's, "we're a little bit Irish, and a whole lot of fun"! Timpone's didn't wow me, but it was serviceable Italian. But of course the problem is inevitable when one compares CU to Chicago: really an unfair comparison. One needs a restaurant culture, which one will not find in CU. Timpone's isn't red sauce Italian, but neither is it Cal-Ital or Northern Italian. It has a selection of decent contemporary Italian-inflected dishes. My short ribs with house-made gnocchi were tasty, but not really distinctive. 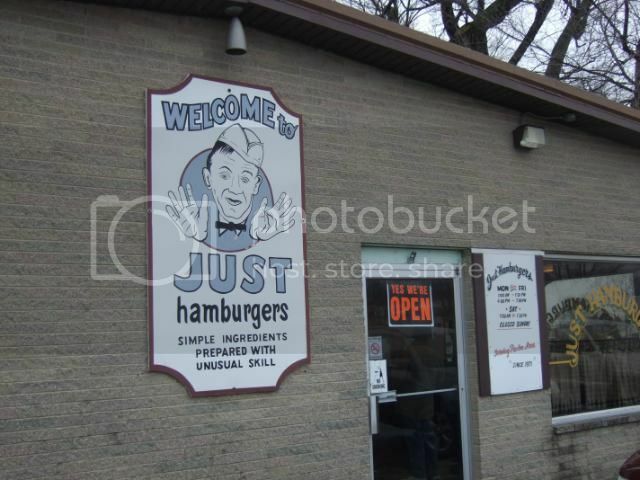 Came away really impressed with Just Hamburgers in Paxton, IL. Spots been around for 40 years. Hit right at the beginning of luch and the place was hopping, they do smashed griddle burgers here and the double cheeseburger I had was a very good version, crisp griddled crust, still juicy inside. Bun, cheese and toppings worked in unison. Liked the ordering process as well. Place you order(cash only) they tell you your number, you get in a fast moving line and your sack of food appears quickly. They got this system down pat. Steady stream of customers for their lunch while I was there. Open 11-1:30 & then 4-7. Newspaper article I read says they buy their beef local, and trim it and grind it themselves. Double burgers are like $2. Fries are good as well. For reference a little thicker than Steak and Shake. couldnt get an lth worthy pic of the burger. Also popped over to DG Sullivans and met Jeff and his wife, friendly folks with some good meat and dairy recs for the area. Enjoyed a pizza and a couple beers there before we headed back to Fairbury. Cathy2 wrote: Two years ago, Ye Olde Donut had changed hands. 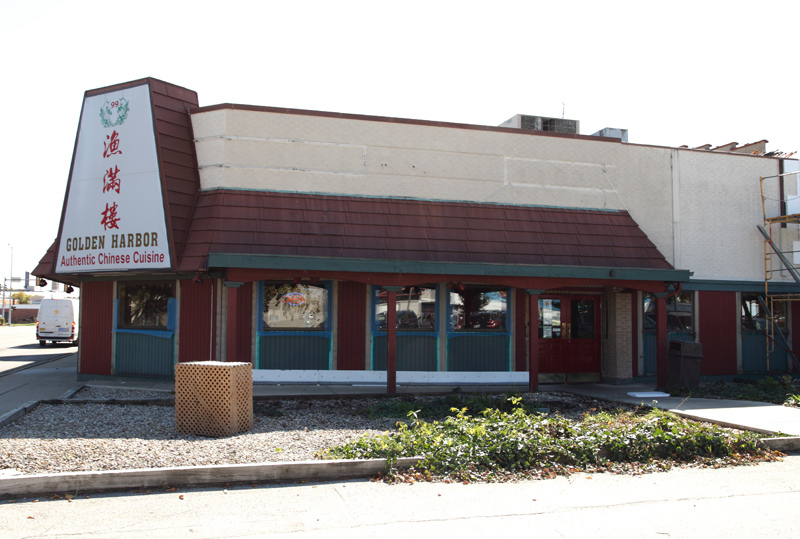 The new owner expanded the business to include Ye Olde BBQ in addition to the donuts. I remember long ago when Ye Olde Donuts ran out of donuts, then they simply closed. During a stop in Champaign yesterday, I found Ye Olde Donut out of business. A worthy replacement was Carmella's Creme Donuts. A bit dingy inside, but the basic glazed donut and the maple-glazed cake donut my son and I had were definitely a notch above Dunkin. Cash only, with a drive-thru. Yeah, Ye Olde Donuts has been out of business for a while. In fact, since then two other businesses have come and gone in that spot (see my post above). Ram4 wrote: TIMPONE'S on Goodwin St. across from the Quad. 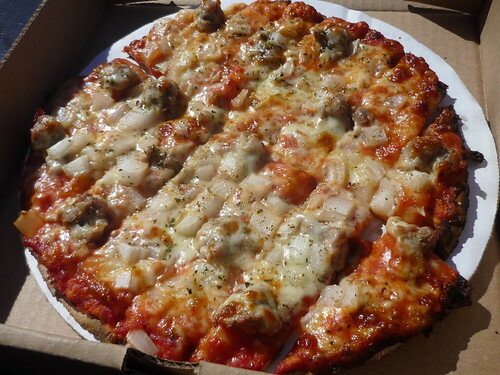 Hands down one of the best thin crust pizzas anywhere. I've had Timpone's on my list since you first made this claim. My time to try it came last week. I was expecting an old school Italian tavern type place and some damn good pizza. Well one of two aint bad, especially when it's all about the pizza. As I now see others have mentioned this on-campus restaurant isn't the old school red sauce variety but they have some top notch tavern thin. Not the best I've ever had but def in the mix. Pie's come in one size (10 Inch) and are a good deal at about $10 for one with topping. The sausage was terrific with some fennel in every piece. Any students on campus eating Papa Johns over this need to learn a little more. Do note they're open for lunch until 2:00p and close until 5p. The hours kept me from trying sooner. Well worth the wait. Glad you were able to try it DaBeef! It is not a pizzeria, it's a fancy Italian restaurant that just happens to also have pizza as an afterthought. It has been a long time since I had it. I usually have 2 pizzas because they are so light and it is so rare that I get the chance. No love for Merry Ann's on this thread? I find that surprising, I thought it was something of a champaign institution. Anyways, this was probably one of my favorite spots back when I went to UIUC. It's a greasy spoon diner, their specialty and the only thing I ever ate there is called a "stack," which is a layer of hash browns covered with cheese, then your choice of sausage or hamburger, then 2 eggs whatever style you want, then biscuits if you want em, all slathered under gravy (I think it's sausage gravy, but it's been a while). Anyways, I have only ever been to the location on Neil and Kirby, but apparently there's one downtownish too. Another disclaimer is I don't think I ever ate here while sober, so I recommend doing the same. We recently drove thru Champaign and ended up at Dublin O'Neils for lunch. It may have been like brunch time because I had a salmon benedict that was delicious. and there nice burgers, etc. Went to the 15th Ebertfest over the weekend. It was bittersweet, as one can imagine. Films were pretty good. As to food, had great pizza as usual at Jupiter (love a salami pizza), and a stellar Thai meal at Thara Thai out on Bloomington Road. That resto is really amazing -- good food and a completely diverse clientele, including an elderly farm couple. We had pad thai, chicken satay, fried pot stickers, spring roll, and a curry with coconut, chicken, potato. Everything was excellent, as usual. 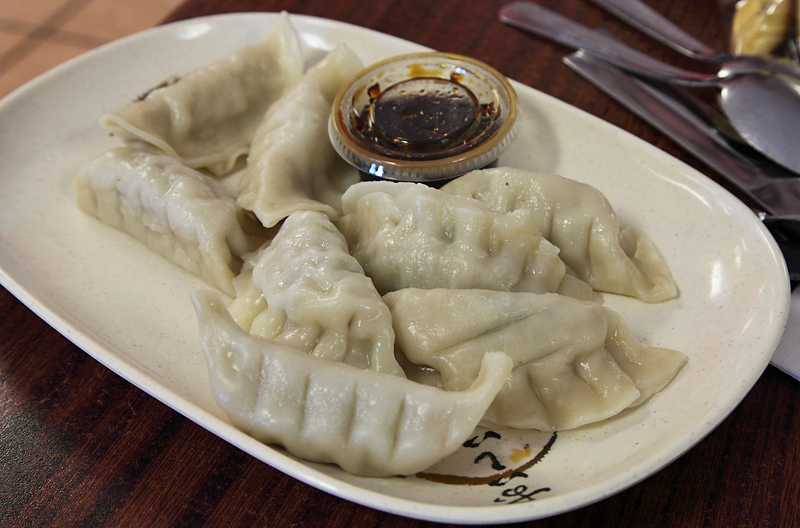 For new restaurants, we went to Mongolia 301 for lunch. It was $10.95 for an unlimited bowl, which is a great price. Very nice selection of veggies and protein. They didn't chop the ingredients super small, however, and while it didn't meld the ingredients totally, it had the effect of keeping some of the veggies somewhat crisp. You have a choice of white/brown/fried rice, and you can also a naan-like bread cooked on the flat-top. The bread was delicious. You can also have your ingredients made into soup. We also went to Big Grove Tavern, which was only serving their bar snacks when we were there. We had almost one of everything: fried grits, served with bbq aoli, pretzel, a deviled egg, and smelt. The smelt were a trifle overwhelmed by the beer batter, but the lemon dipping sauce was soooo good. I think the grits were my favorite. And the glass of house red was only $4! We also had tapas at Radio Maria. Again, really good food. We had lamb meatballs, hummus, lamb meatballs, fried goat cheese, a ham & cheese arepa and a bread plate. I have to say we were disappointed with the bread plate, which, while good, was $6 and was basically 1 roll with accroutrements. One of our better meals was breakfast at Sam's. It's just a greasy spoon, but is super popular and friendly. We had the usual breakfast, with nice crispy-edged pancakes that were really tasty. They just do it right. Carmen's, which was a creperie then French bistro has morphed into "Wedge", a Mexican resto/bar. Didn't go, although it was well-recommended. Also had a serviceable breakfast at Courier Cafe, but the potato pancakes were awful. It was sort of a pancake batter with potatoes. Just wrong, but I should have known better. Biscuits & gravy was good, though. And so it turns out that one of the finest Taiwanese restaurants in this hemisphere is in Champaign. Forget the Chinatowns, forget the suburban strip malls of megacities. All the best Chinese food is next to a major engineering program these days. This is the only place any right-minded person should eat in C-U. Golden Harbour is owned by a family that previously had another very successful Chinese restaurant in Champaign (the name escapes me right now). They sold that restaurant and agreed not to open a new restaurant in town for some length of time. So, in the meantime, they opened a restaurant in Mahomet, a neighboring town. When the allotted time passed, they opened up in Champaign again. So although this is a newer restaurant, they actually have a bit of history in the area. Well, it's f'ing remarkable. Were the other places similar, seemingly dropped lock, stock and barrel into Central Illinois from Taipei? 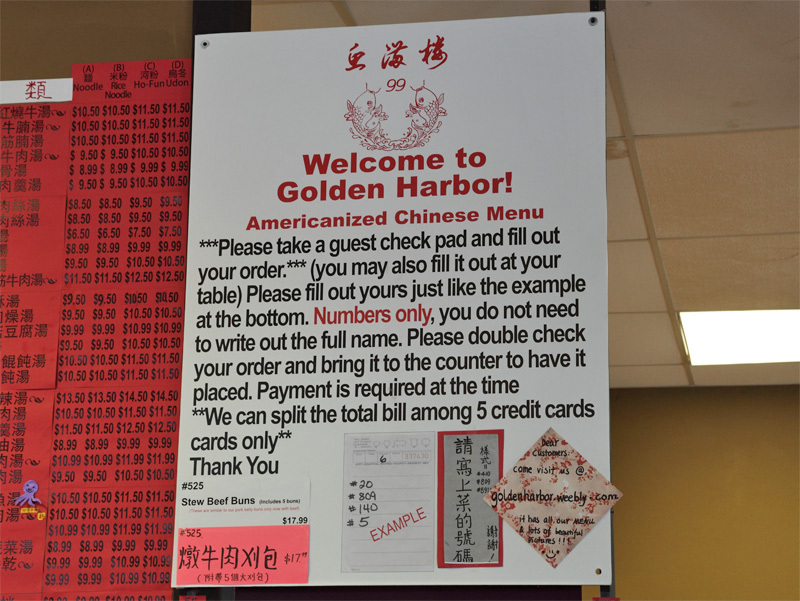 Darren72 wrote: Golden Harbour is owned by a family that previously had another very successful Chinese restaurant in Champaign (the name escapes me right now). Mandarin Wok, methinks. They used to have a large menu in, as I recall, hand-written Chinese. I was a student of the language at the time, and enjoyed ordering there when visiting friends at UIUC. 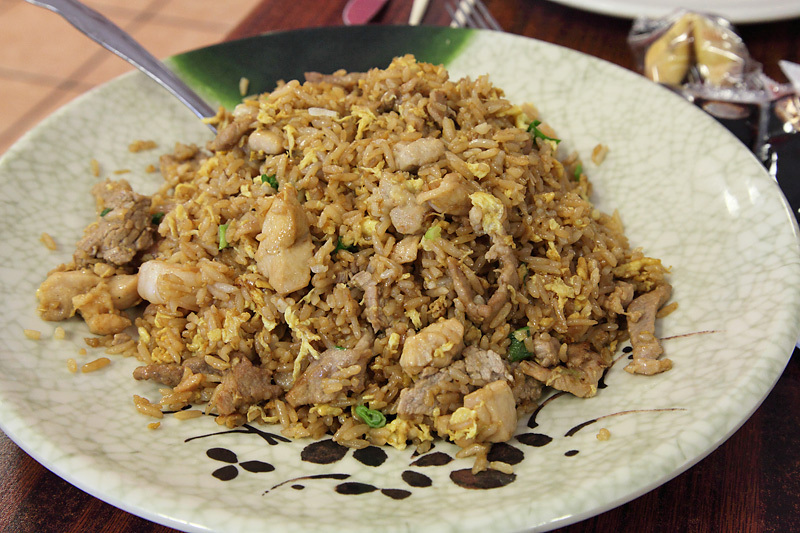 Very good Chinese, and Golden Harbor continues that tradition, as per reports from some friends still in the area. 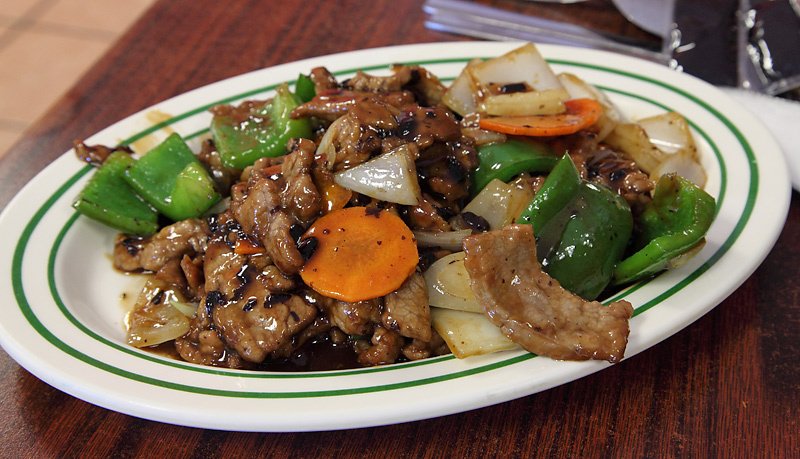 I have fond memories of Lai Lai wok. 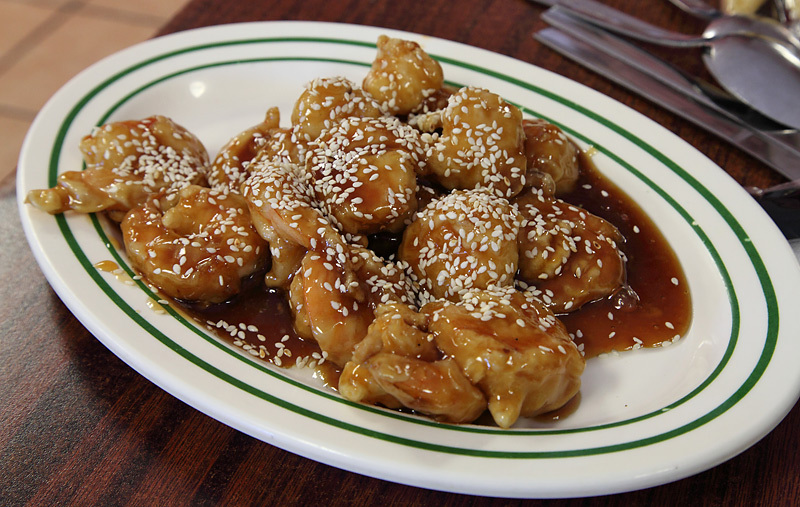 I went there with Chinese dorm-mates and tried to order General Tso's and they stopped me. I ordered something random off the authentic menu called Taiwanese Salt & Pepper Chicken. It had massive amounts of delicious garlic and ginger. It was fantastic and probably what got me interested in Asian food. I was in CU last year and went to Bacaro and was very impressed. I remember a delicious chicken liver mousse dish. It would do well in Chicago. I am going to be at the iHouse hotel one night without a car. I'd rather not eat at Houlihans. Any good recommendations close by there? Are there cabs? Yes, there are cabs. Best to call one, rather than try to hail one. The hotel also has a shuttle that can probably take you anywhere. You are a short walk to Neil St. According to Google maps, you are 0.9 miles by foot from Seaboat, one of my favorite restaurants. Golden Harbour (see above) is about a 1.5 mile walk from the hotel. Thx - it also looks like Seaboat delivers, which might be a better choice than wandering around alone in Champaign at night. I'm at that hotel from time to time. Best option in CU but not really a pleasant walk to anything as you are on an open corner of the campus, not downtown, though downtown and all the good stuff (for me that's 2 things, Blind Pig and Golden Harbor) are not far. Pretty safe place with students walking and biking at all hours. You'd be fine walking out and cabbing back at least. are there any decent options within walking distance of the fed courthouse? thanks for any suggestions! shyne wrote: are there any decent options within walking distance of the fed courthouse? thanks for any suggestions! Yes, everything in downtown Urbana is within blocks of the courthouse. See the prior pages for ideas. I'd recommend Black Dog Smoke & Ale House. We had a fantastic lunch last Saturday at Black Dog, but the wait was over an hour for a table and then sometime for the food. Our dinner at Golden Harbor was spectacular (string beans with egg; lions head meatballs; spicy cold chicken; the smokiest most delectable ho fun ever; and ethereally light and creamy fried tofu), and made us long for something remotely comparable in Chicago. Does Blind Pig have food, or just beer? Darren72 wrote: Sea Boat may be one of the best restaurants ever. Maybe that's an overstatement. But it is hard to find a place that does fried fish and fixins' as well, especially in Champaign. 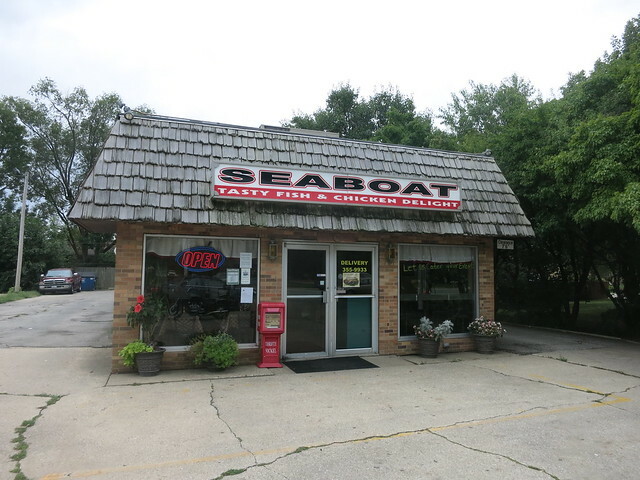 (Note: if you haven't been to Champaign in a few years, Sea Boat has moved from its original location on Market St. to new and nicer digs on Kirby, near Neil St.) I've always gotten the fried Walleye, but they also have catfish, shrimp, code, and chicken. 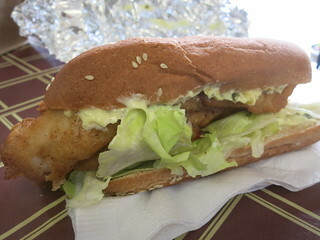 The fish is breaded with a nice, somewhat spicy coating. Just about all of the sides are homemade. The greens are cooked with smoked turkey. Fried okra is fantastic. Staff couldn't be friendlier. Business is taking me downstate more than usual as we corner the Vermilion County gaming market. While down there I'm working on a food project that no one has ever explored but have managed to squeeze in a few eateries not involved in it. Sea Boat being one of them. I've said it before but I have some sort of sick problem where I cant remember my parents bdays but can remember an LTH post circa 2011. I remembered yours when driving by so I decided to stop and try a fish sandwich. 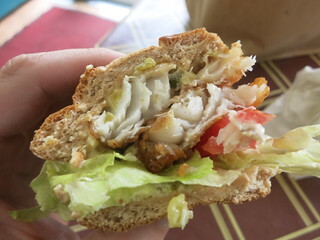 This was a very solid (walleye) sandwich, I enjoyed the long wheat bun and perfectly fried filets. The sum of it all together is greater than it sounds. If looking for something similar though a little closer to home I'd check out Dock's on the Southside. Speaking of sides, those were good too, particularly the spaghetti with a spicy marinara. The lady behind the counter was extra friendly, not too many options down there so a good chance I'm back at some point. Was in Champaign-Urbana last month for a campus visit with my son. We had a couple of meals. The first was dinner at Black Dog Smoke & Ale House, which didn't wow me and, based on the BBQ we have available here in Chicago, wasn't really worth the 30-minute wait, either. On the way out of town the next day we stopped for lunch at Golden Harbor. It was kind of a visit to the Gloppy-Goo Islands but tasty nonetheless . . . Ordering station is on the right. Not too gloppy, not too sweet. Liked the mild black bean funk. Pretty gloppy but tasty not sweet at all. Shrimp had good snap. Pretty chewy dough but tasty, moist filling. 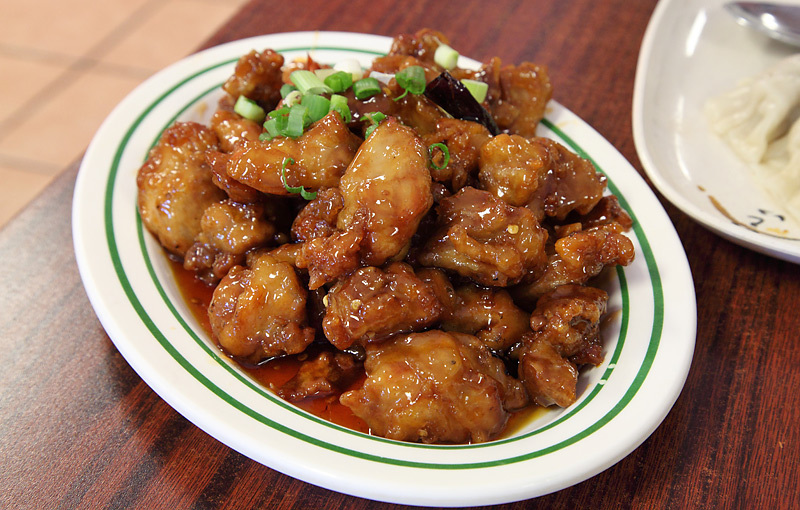 Very gloppy but tasty, with moist and crispy pieces of chicken in a not-too-sweet sauce. My favorite dish. 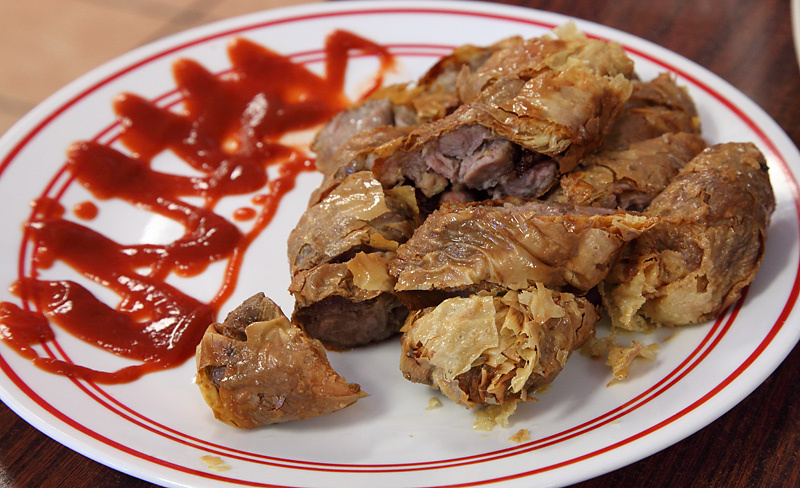 I really loved the tender chunks of tasty beef inside the light, crispy fried wrappers. Pretty sure the sauce was just sriracha but overall, I still really liked this one. If all goes in a certain direction, I may be visiting here on a more regular basis and this place will likely end up in our regular rotation. The food we had was pretty one-dimensional but it was tasty, and the folks who work here couldn't be friendlier. But with a menu this large, and all sorts of specials, I'm sure there are some gems to be discovered. Glad I am not alone in my "just don't get it" of our area famed, "Black Dog". I have tried to like them on many visits but always end up shrugging. Golden Harbor is as good as it gets, here. Tina and her family have a good thing going, and as much as they try to slow back a bit, stay more than busy for what they want to do. I'd invite you to make the 28 minute trip to Gibson City next visit and let me host you at my place, but sadly the bank lost it's faith in me last month and we're shuttered. D.G.Sullivan wrote: I'd invite you to make the 28 minute trip to Gibson City next visit and let me host you at my place, but sadly the bank lost it's faith in me last month and we're shuttered. Sorry to hear that, D.G. Yes, me too. Very sorry to hear this news. Oh man! I am very sorry to hear that. 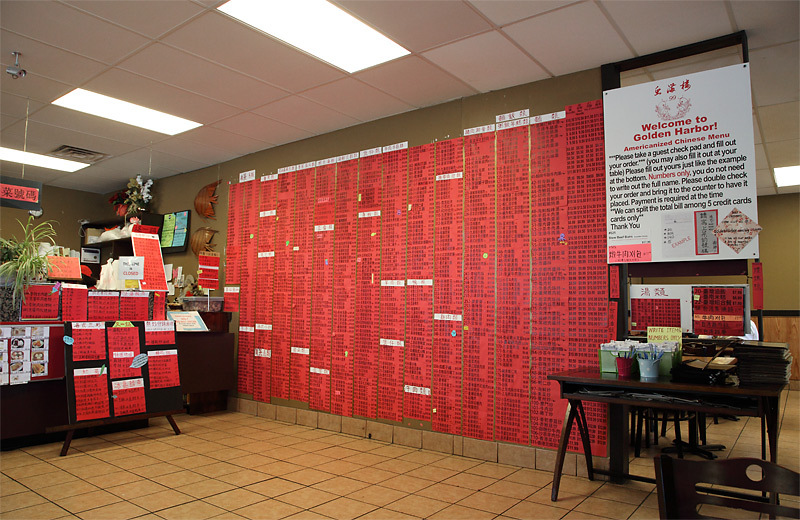 Hope you will post to let us know if/when you embark on other restaurant plans in the area.